There are times when you feel annoyed and frustrated because the floor looks dirty even after the putting the complete efforts. This happens because of the dirt accumulated on the grout between the tiles. The secret to keeping the tiled floors and walls lies within the grouts between the tiles. This white stuff between the tiles gets easily stained and does the irritating task of the showcasing even little blemish. But this issue can actually be solved by following a few simple and helpful tips. We have brought you some easy ways through which you can enjoy the desired results after cleaning. Step 1: Make the baking soda paste by combining it with water. Add 3 parts of baking soda to 1 part of water and make the thick paste. Apply this paste to the targeted area. Step 2: Add the equal parts of white vinegar and water in a bottle. Spray the solution on the applied paste. You will notice bubbling immediately after spraying. This bubbling is the indication that the cleaning process has started. Step 3: The bubbling is the chemical reaction between vinegar and baking soda that continues for a few minutes. You have to wait for the bubbling to stop. Once the bubbling stops, it means the cleaning is completed. Step 4: Use brush to scrub the grout lines and get the perfect cleaning. Don’t forget the corners and edges. Step 5: The final step is to mop the floor with fresh water to remove baking soda and vinegar. Keep changing the water while mopping, so you don’t spread the leaving on the floor. Step 1: Combine 2 tablespoons of oxygenated bleach with 2 cups of warm water. It is always best to prepare the solution immediately before the use for the effective results. Step 2: Mix the solution well before use so the oxygenated bleach gets activated completely. This solution is suitable for all types of tiles, however, it may discolor the colored grout. Step 3: Before pouring the solution to the floor, it is important to do a small test on a corner of grout which is least noticeable. This test is necessary because some tiles and grouts get damaged by oxygen bleach. Step 4: If everything goes well in the test, pour the oxygenated bleach solution to the grouts. Spill enough quantity of solution to cover the grouts completely. Step 5: Let the solution sit on the floor for a few minutes before scrubbing. Step 6: Scrub the bleach solution with the help of a nylon bristle brush over the grout lines back and forth. Make sure to clean the accumulated dirt on the corners and edges of the wall. 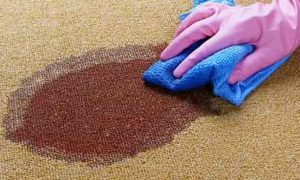 Step 7: If the stain is darker and tough, then dip wet the brush into the oxygenated bleach powder to make a stronger solution. Step 8: Clean the floor by pouring the fresh water on the tiles and dry with the clean mop. The steam cleaner is one of the best ways to clean all types of tiles and grouts effectively. We call it the best way because the process is carried out without chemicals. 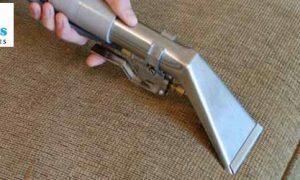 Step 1: Rent or buy a steam cleaner and ensure that the machine has a proper attachment for grout cleaning (steam hose and small brush attachment). Step 2: Assemble and fill the machine with water. Follow the instructions given by the manufacturer in the manual. Step 3: Read the manual carefully to fill the reservoir up to the suggested level. Do not add soap or other chemicals while filling the reservoir. Step 4: Turn on the machine and let it heat up. See the user’s manual to see the heating time before start cleaning. Step 5: Walk across the room with a cleaning brush in your hand. Steam produced from the machine will lift and remove the dirt. Steaming also kills the fungi that may be growing on the floor. Step 6: Remove the excess moisture from the floor after steam cleaning using a clean mop or a towel. These were some of the most effective ways that can be used for tiles and grout cleaning. Master Cleaning services offer tiles and grout cleaning services at the lowest possible prices. 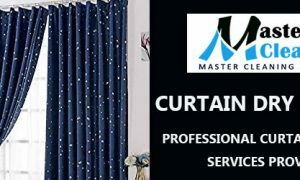 If you are stuck up in a busy routine and don’t get the time to such tasks, then we are just a call away or Contact Us.